Azerbaijan State Drama Theater will join the International Festival of National Theaters in Dagestan. The event will be held in Derbent, Izberbash and Makhachkala on April 22-29. The festival will open with the performance of the Atninsky Drama Theater. 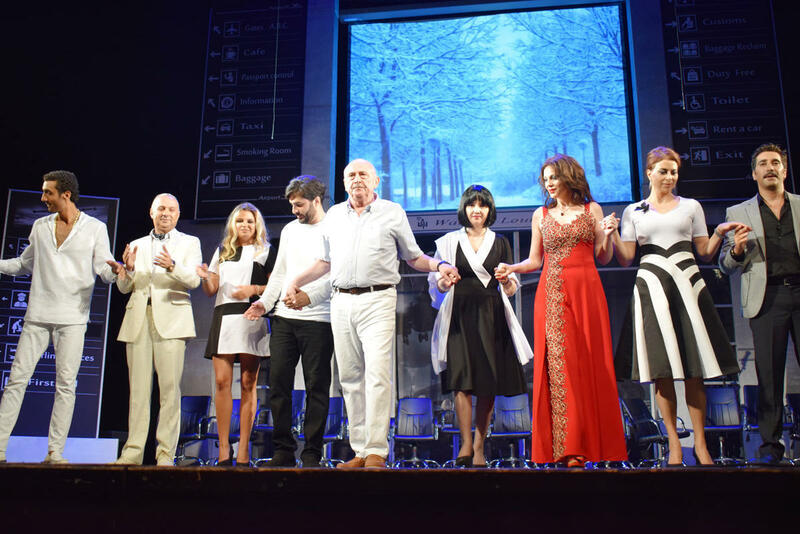 The play "Last Day" will be presented to the audience, Azertag reported. Azerbaijan State Drama Theater will perform at the festival's closing ceremony. The play "Dead Men" will be staged as part of the festival. Twenty theaters from Azerbaijan, Russia, Azerbaijan, Kazakhstan will take part in the event. Moreover, discussions and round tables with the participation of major theater critics, as well as master classes and creative meetings will be held as part of the festival. Azerbaijan Drama Theater was first established on December 20, 1920, as the "State Free Satirical Agitational Theater", however on April 29, 1921, it was renamed as the "Baku Workers' Theater". In 1937, the name was changed to "Azerbaijan State Red Banner Theater of Russian Drama". Since 1938, it is named as the "Azerbaijan State Russian Drama Theater". In 1956, the theater was additionally named after the Azerbaijani poet Samad Vurgun. The State Russian Drama Theater named after Samad Vurgun plays an important role in the cultural life of the country. Charismatic and extraordinary talented theater actors always surprise the audience with wonderful performances. Many works of Russian literary figures such as Tolstoy, Pushkin, Chekov, Gogol, Lermontov, Mayakovsky, Lavrenyov, as well as Azerbaijani literary figures such as Jafar Jabbarli, Mirza Fatali Akhundov, Ali bay Huseynzade, Najaf bay Vazirov, Huseyn Javid, works of world classics such as Shakespeare, Schiller, Molière, Dumas, Hugo, Balzac are staged in the theater in Russian. By the way, the theater team pays special attention to young viewers, and plays a significant role in introducing art to children. Nowadays, Azerbaijan State Russian Drama Theater is one of the most popular theaters in the country.